You’ve been lying in bed for you don’t know how long and are at your wits’ end, wondering why you can’t sleep. We’ve all been there. You’ve spent a fortune on your mattress and pillows but something still seems off. Most likely, your bed sheets are the culprit. You NEED to invest in bed sheets that are the best for YOU. Read on so we can help identify which bed sheets (Microfiber vs Cotton) are best for YOU. We’ll help you FIND that elusive yet well-deserved SLEEP! A feeling of complete and utter euphoria which peaks when climbing into bed at the end of an 18-hour workday, a long road trip or hours of extremely strenuous physical activity. Do you remember how when you were a kid, the only thing that mattered to you was whether your bed sheets were COOL? Or whether it was made of bright and pretty colors? Price or quality were all secondary or even non-existent to you. Often times, the theme of your beds was Barbie, Spiderman, Wonder Woman or Superman. Sometimes it might be rockets and spaceships, bears and ponies that were the dreams. What’s even funnier is that your parents would get you these wonderful bed sheets. They will bring you milk & cookies and so many nice things to coax you into getting into bed and to sleep. Oh, what a simple and happy time it was back then! What would you give to live that simple life of bliss and childlike slumber!? Now that you’re all grown up, adulting has made it way more difficult to get that well-deserved sleep. We’ve all heard of that famous line that we spend more than one-third of our lives in bed (i.e. sleeping, dreaming, lounging, eating, reading, loving, etc). Did you know that, right now, the current life expectancy in the U.S. is about 78 years? Let’s say the average American sleeps for about 8 hours in a day. Based on this data, this means that in your lifetime, you will sleep for a total of 227,916 hours or in layman’s terms, a LOT of your life. Truth be told, you could have spent these hours on something productive, like let’s say watching “Bridesmaids” 103,598 times. Why do we always seem to only consider bed mattresses and pillow shopping as the only essential factor in our sleep-related purchases? Where’s the love for bed sheets? Let’s step back and visualize what we mean here: Imagine yourself getting home after a long, arduous day at work. You’re sweaty and tired and decide to take a shower. Go ahead. Let the amazing feel of the flowing water drain your worries and fatigue away. Now that you’ve just gotten out of the shower, you’ve dried yourself and are walking towards your room. Once in your amazing bedroom, with such a great view, you start to get ready for the magical world of SLUMBER. You lie down on your nice, comfortable, orthopedic, therapeutic bed. But then you suddenly feel all manner of dirt and grime and weird textures sticking onto your skin. All the peace and serenity is now GONE! It’s as though you just immersed yourself into the soiled well-used bed sheets from the dingy and dirty hell of a motel. Great! Now all your dreams of unicorns and fairies are gone down the drain! Folks, that’s how important and vital your bed sheets are, to your overall Sleep Zen and Bedroom Feng Shui. But wait… what constitutes an ubertastic bed sheet? There are so many things to look out for: thread count, price, fiber, thickness, material, hypoallergenic, weave, absorption and so much more. It makes you want to pull out your hair, eat it and spit it out in a hairball of doom. Then hope against the gods that it’ll somehow resemble the bed sheets of your dreams. Not to worry though, we’ve compiled the data, done the research and tested out the sheets for you, so that you and your ultimate bedgasm are now within reach. You can click on this link to get to our TOP recommendations NOW. Bed sheets have been a part of our sleep habits for more than a millennia. Historical evidence shows the earliest sheets were made by our Ancient Egyptian friends who cultivated the flax plant (linen). This led to spinning and weaving of the early bed sheets used by Pharaohs and Egyptian royalty. The technology then spread to neighboring European countries until finally arriving in the U.S. around the 18th century. It was not until the 1830s that cotton farming and processing was realized and established. This caused the boom and increased demand for cotton products throughout the nation. Cotton was significantly cheaper and easier to acquire than linen and made for a wide array of choices for American families back then. The first commercially successful microfiber on the other hand was available on the market around the 1970s. A Japanese scientist by the name of Dr. Miyoshi Okamoto was experimenting on the production of ultra-fine fibers which led to the creation and subsequent successful utilization of the now famous synthetic material called microfiber. Nowadays, microfiber is being used in different industries and products. It is the main textile for items such as Kevlar armor, athletic jerseys, mats and accessories. It is also used in clothing, furniture covers, filters and even cleaning supplies. The mixture, structure and proportion of these man-made microfibers are best known for their specific characteristics. These include but are not limited to: softness, toughness, absorption, water repellency, electrostatics, and filtering capabilities. In these current times, bed sheets come in so many materials, colors, prices, patterns and varieties. These items are so readily available for public consumption that we get spoiled and even confused on what to choose. You have linen, silk, the multitude of cotton varieties, polyester and microfiber. However, bed sheet shopping has never been a more lucrative industry. In 2018, the bed sheets segment in the U.S. market alone, has reached approximately $10 billion dollars. It is expected to significantly increase to $12.7 billion dollars by 2020. More and more fashion brands and textile companies are getting their foot in the market this year. They are even looking to release their own lines of bed sheets and bedding products soon. With the rising costs of bedding products, it’s high time that you get the best bed sheets at low prices… NOW. Check the best microfiber vs cotton sheets deals here! Microfiber is made from very finely woven fibers. “How can we identify a microfiber?” you say? These fibers are being measured based on their ‘denier’ points or thickness. To put things into perspective, fine silk is generally around the 1.25 denier range. However, for one to be deemed worthy and deserving of the MICROFIBER name, the thickness of the fiber in the bed sheets must be less than 1 denier and have a diameter of less than ten micrometers. In fact, there are even some microfiber products out there that are as small as 0.5 denier too. That’s about a fifth the thickness of your own hair. Imagine that! Now, there are many different types of microfiber in the world. The most common of these microfiber are nylon and polyester. Since these microfiber are superfine fibers, they are not a natural offspring of Mother Nature. In fact, all microfiber are created artificially in a lab. Some are made from fully-synthetic materials like polyester. Some might think that microfibers are utter monstrosities. But, they aren’t! They are the result of a fusion of several organic and synthetic materials such as wood pulp or recyclable materials. By getting microfiber sheets, you are doing the right thing by helping SAVE the world. The end product is a durable material that can compare to even the most luxurious of cotton at a fraction of the price. Now, this would definitely be a creation that Dr. Victor Frankenstein would be proud of! Since there isn’t any need for growing, harvesting, yarning and all sorts of manufacturing processes, you can get even the best quality microfiber sheets that won’t burn a hole in your wallet. In fact, just last week, my friend Amy went to the Ritz-Carlton. Believe it or not, she swears that she had the best sleep of her life. She was impressed by how smooth and silky those bed sheets. Before she checked out, she asked the room attendant about the sheets. She found out that they were microfiber bed sheets. What surprised her the most was the exact same sheets were available on Amazon. Check out those exact hotel quality microfiber sheets that you must have in your life. Cotton, on the other hand, is a material that is quite organic and quite abundant in nature. It has been used to make bed sheets, curtains, clothing, and more. It is famous for producing a soft fabric which has the quality of being breathable. This in turn, allows air to freely move through it. Pima is a strong-fine, long-staple cotton that yields a very soft weave. It is softer than your regular cotton and is a tad more expensive. 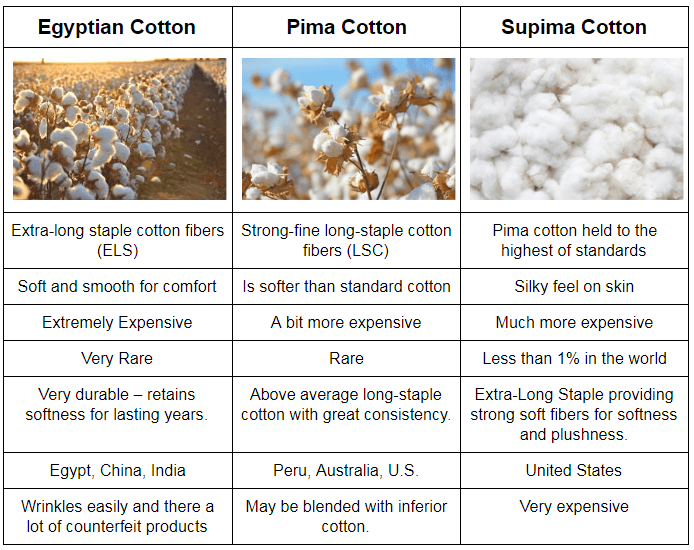 Supima cotton is the trademark cotton used to promote American-grown, extra-long staple cotton. To carry the Supima trademark, the products must be procured through a legitimate and licensed supplier. What makes it unique to its counterparts is the extra-long staple fiber that showcases its premium properties: strength, softness and color retention. The finest quality Egyptian cotton is extra-long staple and is grown in the Nile River Valley. It produces an extremely soft and supple weave. However, the majority of Egyptian cotton being sold worldwide is a long-staple or possibly a variation of regular cotton. More often than not they are counterfeit knock-offs. These types are the ones that are grown in countries such as China & India. They are then exported to the U.S. black market without any quality checking. The cost for getting a hold of a cotton sheet will vary based on the type of cotton you’ll be getting and some other factors mentioned below. However, you can find the finest quality cotton sheets that is worth your time and your wallet. Finding the best quality of bed sheets for you can be a very confusing and daunting task. The quality of bed sheets usually is conveyed by its thread count, type of thread, weave, density, sheen and denier. You might think that we may as well have said some scientific jargon but bear with us for a moment here. Let’s look at these “terms” in more detail to find out which one between microfiber vs cotton works best for you. Thread count actually refers to the number of threads woven together (horizontal and vertical) per square inch of fabric. A 400-thread count bed sheet, for example, will have 200 horizontal or widthwise threads (weft) that are woven with another set of 200 vertical or lengthwise threads (warp). Based on market research, a really good quality set of bed sheets will have a thread count in the range of 400 or higher. These bed sheets tend to be more comfortable and soft to the touch. However, keep in mind that a higher thread count doesn’t necessarily mean that it will be ultimately better. This is usually a marketing tactic where additional threads are often curled. It is then twined to the weft, which increases the thread count but doesn’t actually do anything to make the fabric softer or stronger. More often than not, with cotton sheets, as the thread count becomes higher, it becomes even more brittle and weak. This makes the fabric more likely to pill, tear, rip or snag. The Denier Point or Denier (/ˈdɛniər/) is a unit of measure used to indicate the thickness of the individual filaments or threads used in the creation and manufacturing of the microfiber sheet. Denier points have the same impact on microfiber price as thread count does to cotton. A higher thread count most definitely implies a more expensive set of bed sheets. Although, a microfiber sheet is still significantly more affordable than its cotton counterpart. Microfiber sheets with a higher denier point is more likely to be sturdy, compact, heavy and long-lasting. A lower number of denier points in a set of microfiber sheets will result in the material being sheer, soft, and silky. Weave is also a very important factor in deciding whether microfiber vs cotton sheets would be better for you. 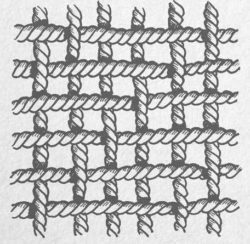 The weave indicates the overall look and feel of a specific fabric. The two most popular weaves are sateen and percale. Please do not confuse this word with satin as they are worlds apart. SATEEN refers to the weave while satin is the fabric. Anyway, this type of weave contains a higher number of lengthwise threads which produces a very soft, silken and glossy sheen. Sheets with this type of weave are generally more tender and fragile. They sometimes have a tendency to pill. Pilling occurs when there is loose or broken fibers knotting up and turning into little balls on a fabric. Sateen sheets that have thread counts in the 300 to 600 range are best for having both the silkiest feel caressing your skin as well as the durability and strength for repeated use and abuse. If you love the high life of luxury and plushness, we urge you to go with these selections of cotton sateen bed sheets. You may want to go with these silken sets of sateen microfiber bed sheets. On the other hand, PERCALE refers to the firm, strong, durable, run-of-the-mill weave used in most if not all everyday sheets. They feature the conventional one-yarn-over and one-yarn-under weave that has equal parts of vertical and horizontal threads. The threads are combed and tightly woven, which creates a sheet perfect for repeated washing and can even withstand hot water. If you prefer a light, crisp and cool feel for your sheets with a matte finish, then this is the way to go. A 200 to 400 thread count is the sweet spot for cool and lightweight sheets. Something in the 400 to 600 thread count would work better for additional weight. 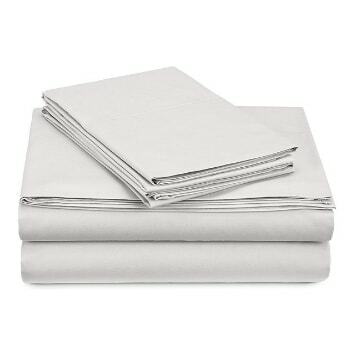 If you’re the type that has a lot of company over and loves to eat in bed, these percale sheets would be best for you. 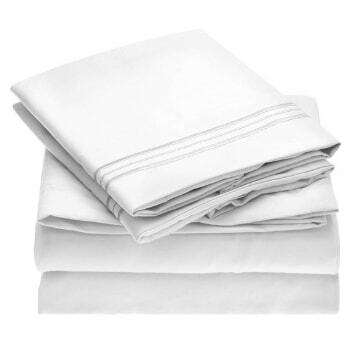 Check our recommended percale microfiber bed sheets here. As for our cotton percale bed sheets. We suggest these instead. Both materials tend to be very durable and are highly dependent on the thread count or microfiber denier point rating. This fully indicates the strength and life expectancy before they give out. The biggest difference that you will notice is the ability of microfiber bed sheets to hold color. When compared to its counterpart, cotton sheets can definitely fade over time. Microfiber can absorb dye very well which leads to longer-lasting and vibrant colors. This holds up even after multiple washings and temperature changes. Microfiber bed sheets can be compared to a gym rat or a health buff. It can generally retain its shape and look over the years. Quite the opposite can be said of its cottony partner. It tends to shrink after the first wash and is more vulnerable to the general hustle and bustle of daily life. Years of use can turn it even softer and more delicate. Both materials will surely deteriorate over time just like anything in this world. However, another major difference between these two is that microfiber doesn’t show any telltale signs of wear and tear. Once microfiber has reached the end of its usefulness, it will just decide to end its misery by ripping itself up or tearing into pieces. Cotton may show a bit of warning though by becoming flimsier and weaker little by little, even pilling until it finally fails. Supima Cotton is also known to last longer and is more durable. Compared to regular cotton, it can last up to 4x longer even after multiple washes. These are highly endorsed long-lasting cotton sheets on Amazon. Take our word and go for microfiber bed sheets that are known for their strength. We testify that you can depend on these for several years. Your comfort is highly dependent on your own personal preferences. What may be delightful for you, might be a nightmare for someone else. Even the weather or the season can come into play on what makes the perfect bed sheets for you. The good news is that both cotton bed sheets and microfiber sheets are made from a sateen or percale weave. Microfiber sheets will usually have a smooth, satiny and silky feel. If every night is a party in your bed and you tend to toss and turn for some reason, microfiber sheets will be the top choice for you. You should be able to slip and slide to your heart’s content without becoming a tangled wreck. Microfiber sheets won’t give you the crisp feel of cotton, however, microfiber sheets are usually lightweight, ultra-thin and are a perfect choice for those who get cold easily. For those cold winter nights or during the chilly autumn winds, the microfiber sheet is excellent for keeping you and your partner warm. Microfiber sheets are awesome at resisting stains, so that coffee or drinks that you might accidentally spill won’t be a burden. Even those dreaded sweat stains on your bed sheets will surely be a thing of the past. One thing to keep note of is that microfiber sheets are stain resistant. Once it does get its way in (oils, makeup, etc. ), it’s going to be Mission Impossible for you to take them out. But, with the absolute best price range and hotel quality feel and comfort, you can get the best selections of microfiber bed sheets now. If you have sensitive skin, are prone to night sweats or kick the blankets off frequently, then cotton would be the right choice for you. Because cotton is a natural fiber, it is much more breathable compared to microfiber and thus making you feel cooler for longer. Cotton also keeps moisture away better than microfiber, allowing it to stay comfortably cool against your skin. One disadvantage is that cotton wrinkles easily and is more prone to stains. It is much easier to remove stains than those stuck in microfiber sheets though. As you’re well aware, great quality cotton sheets provide a superb level of comfort which is why they are used in luxury 5-star hotels and accommodations. Softness and crispness would be the best words to describe the feeling that you can experience from using cotton sheets. A cotton sheet that is ironed after a wash will provide an enticing crispness, that permeates into a fluffy and delicate softness as the night draws on. For many, the feel of their sheets is the most important selection factor. Microfiber bed sheets are perfect for those who like a sleek, silky feel. If you like crawling into sheets that are soft but crisp like hotel linens, cotton would be your best bet. If you are looking for a nice balance between price and quality, then look no further! These cotton sheets offered by Mayfair Linen are made with 100% Egyptian cotton and not some artificial variant. That means you don’t have to worry about your sheets not remaining as soft after a single or multiple washes. 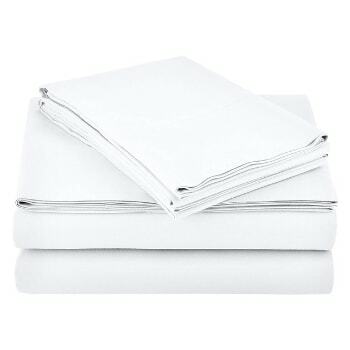 If you have ever had Sateen sheets before you might experience that these sheets are a little bit less soft and firmer. This is caused by the higher thread count. 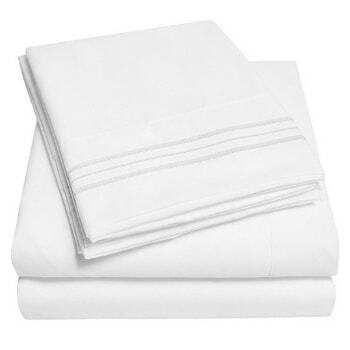 Normally Sateen cotton sheets are made with a 300-600 thread count. This offers a lighter sheet but also makes it less durable. These cotton sheets have an 800 thread-count meaning they are a bit firmer, although still smooth and softer than normal! A sacrifice that we feel is well worth it! And a clear balanced choice for the other two options we have in our list. Do you prefer a more durable, firm and strong cotton sheet? Or are you looking for sheets more suited for warmer months? 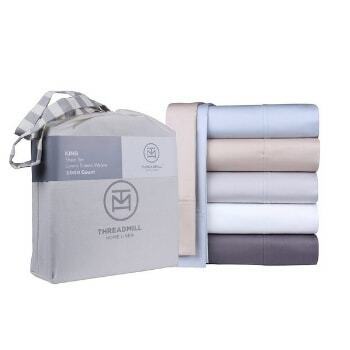 Then the Pinzon Percale sheet set is probably more up your alley. If you need a more breathable sheet the Sateen is definitely not something you need to go for. These sheets offer a nice mat and clean finish, and with a thread count of 300, they are very, very light! The cotton used to make these sheets has the OEKO-TEX standard 100 label. This means that you can be sure that the product is 100% cotton but the cotton used has also been checked with strict environmental and safety regulations. Looking for nice soft and thick sheets with that authentic Sateen weave feel? Look no more! Although these sheets are better suited for those who want sheets for the colder months (they are heavy), they cope quite well in the summer too. But what makes these cotton sheets really stand out is the type of cotton used. These cotton sheets are made with the very rare Supima type of cotton. This means that you will get the crème de la crème experience when it comes to softness and quality. Supima cotton is known to have a silky feel to it, combined that with the type of weave used and you will enjoy a softness that not many sheets can match. Sadly, this does come at quite a price tag. But everyone who has tried a good night’s sleep in these sheets will tell you that it’s a price well worth the quality. If you don’t want to spend a fortune on real cotton sheets but still want to get the feel and softness of a top quality bedsheet. Then it’s hard not to give the microfiber of Mellanni a shot! It’s almost hard to imagine you won’t have a positive experience, as many have gone before with little to no complaints. What makes these microfiber sheets so different you might ask? 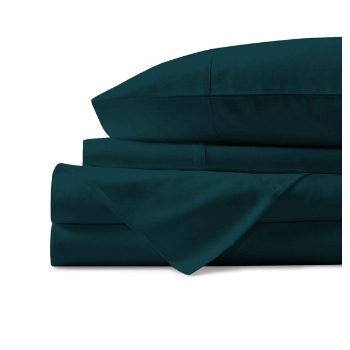 These sheets have been made with polyester microfibers brushed on both sides. The process is quite a simple one. First, the fabric undergoes a mechanical brushing process where fine metal brushes carefully rub the fabric. Resulting in an extra softness on the surface of the microfibers but also giving a suede-like feel! Combine that with a high thread-count and you have one very, very comfortable set of sheets. The only side effect is that a result of all this they are a bit less breathable compared to other microfiber sheets (although the difference is very slight). These sheets are a bit more expensive than the average microfiber sheet, but they include an unconditional lifetime guarantee. With well over 30k positive reviews these microfiber sheets are also well-liked by most! Most complaints seem to stem from a clear misunderstanding that the thread-count of these Sweet Home sheets are not actually 1500, but they are equivalent to a cotton sheet with a similar thread-count. A fact that is clearly listed, but it’s an understandable misunderstanding. It’s good to add that in reality, the thread count isn’t far off 1500 threads because the microfibers used in these sheets are quite thin, even by microfiber standards! The 1500 Supreme sheets are a great choice if you are looking for all the benefits of microfiber sheets but want some extra breathability compared to our first suggestion. This is a result of the extra thin fibers that we mentioned before! Perfect for hotter climates or months. For the more environmentally-conscious consumer, the AmazonBasics might be a better fit. Unlike all the other listed micro sheets, this set has the OEKO-TEX Standard 100 certification. This quality certification is voluntary and has to been updated annually by the manufacturer. OEKO-TEX will comprehensively look into how the material is processed including aspects such as dyes used. The certification looks for any chemicals (over 100 are tested for) that could potentially harm the environment or the consumer and only if it’s fully free of these dangerous chemicals is the certification awarded. This also means that these are a great choice of sheets if you don’t want to spend extra for cotton sheets but do have skin that’s sensitive towards chemicals!